Its not an option , you must migrate from Joomla 2.5 to Joomla 3.4 , Today Joomla developers released one last update for Joomla 2.5 and with the new year, there will be no support, update and fix anymore for Joomla 2.5 versions, officially. 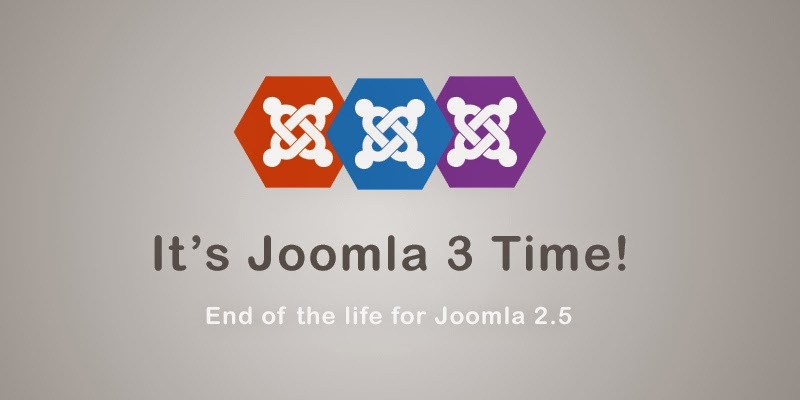 This is the time for Joomla 3.X ! Updating your Joomla 2.5 site to Joomla 3.4 versions is a very easy task if you do it corectly , it's not like older Joomla updates and migrations. In this tutorial we will see How To Migrate From Joomla 2.5 To Joomla 3.4 . Note: Once the update, you will not be able to revert back to Joomla 2.5! You need to create a full backup of your site in order to not lose your data. You can use Akeeba back-up tool. Make sure that you are running the latest version of Joomla 2.5. At the time of this writing, its version is 2.5.28. Before doing something you need to clarify that your hosting environment is suitable to host Joomla 3.x. You go to "Site/System Information" to check and compare to all your settings if they suit all the requirements here. You need to check and make sure that all of these extensions are Joomla 3.x compatible, including the template as well. You really should be careful with this step. You go to Administrator and choose "Components": delete components that are not compatible with Joomla 3.x and do the same for "Modules" and "Plugins" Please be careful and do not delete things you have not changed or any Joomla stuff. When you are done, you could be ready to get your site to Joomla 3.x. Before getting your site to Joomla 3.x officially, you should create a back-up site and a test site on your server in a sub-folder. .
After creating the test site, you try to test the upgrade in the test site. Finally, click "Install the update"
Note: If the "Install the update" doesn't appear right away, you go to Extensions /Extension Manager/Update /Purge Cache. After done, you move to “Extensions/Extension Manager/Database” to check and make sure there are no errors. If yes, click on Fix button. You do the same steps on the live site if everything goes well on your test site. It will take a few seconds to update your Joomla content. Please do not hurry to close your browser window during that process. Finally, you'll see a message for the successful migration. I have just described the migration process from Joomla 2.5 to Joomla 3.4.